320 pages. 275x215mm. Printed on gloss art paper, casebound with printed board covers. 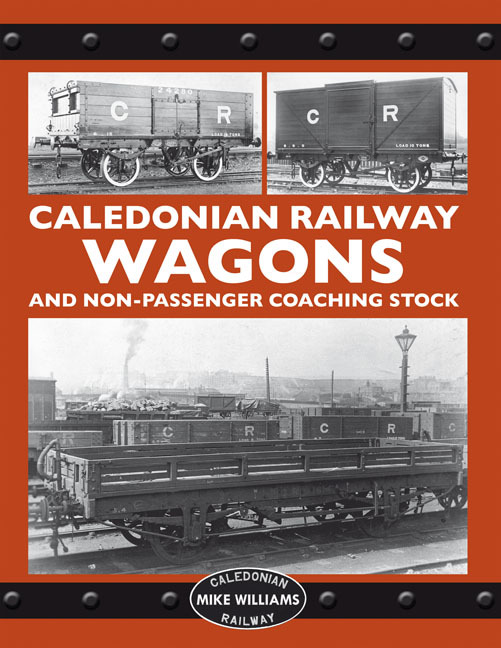 This is the first detailed history of the Caledonian Railway’s wagons, from the opening of its first line in 1847 until the Company became a part of the LM&SR at Grouping in 1923. The research is based on Board minutes and other official sources, whilst over 250 official drawings have been examined. The introduction details the sources of information used and a chapter on the industrial development of Scotland outlines its influence on the size and diversity of the wagon fleet. The types of wagons and numbers in service are tabulated and the financial pressures which hamstrung the modernisation programme begun in the early 1900s are also described. An overview is offered of technical developments, which discusses how two Locomotive Superintendents transformed the wagon fleet. The liveries of wagons and Non-Passenger Coaching Stock are next described, supplemented in each case by the systems used by the Caledonian to allocate running numbers. Photographic evidence and drawings depict a far more complex picture than that presented previously. Eleven chapters then deal with different types of wagons, ranging from those built by the thousand, to small numbers of wagons for special traffic. Building dates are given for each design, whilst design developments are described and supported by photographs and works drawings. Sample running numbers are included for modellers. A further chapter describes the Caledonian’s relationship with the private traders who ran wagons over the system. Appendices list the construction orders undertaken by the company and outside contractors. The surviving works drawings are listed, with their archive references, and the photographs in an official album dating from 1900 are described. A final appendix gives information about drawings for the modeller, supported by specially commissioned drawings of details characteristic of Caledonian wagons. Produced in association with the Caledonian Railway Association. 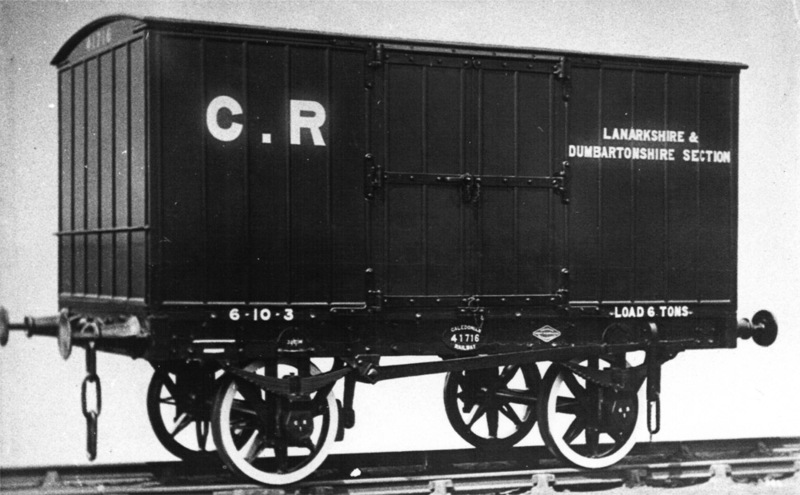 The first style of Diagram 3 van, built by Hurst Nelson in 1896, lettered for the newly opened Lanarkshire & Dumbartonshire section. Other vans in this contrat were not lettered for a specific part of the system. 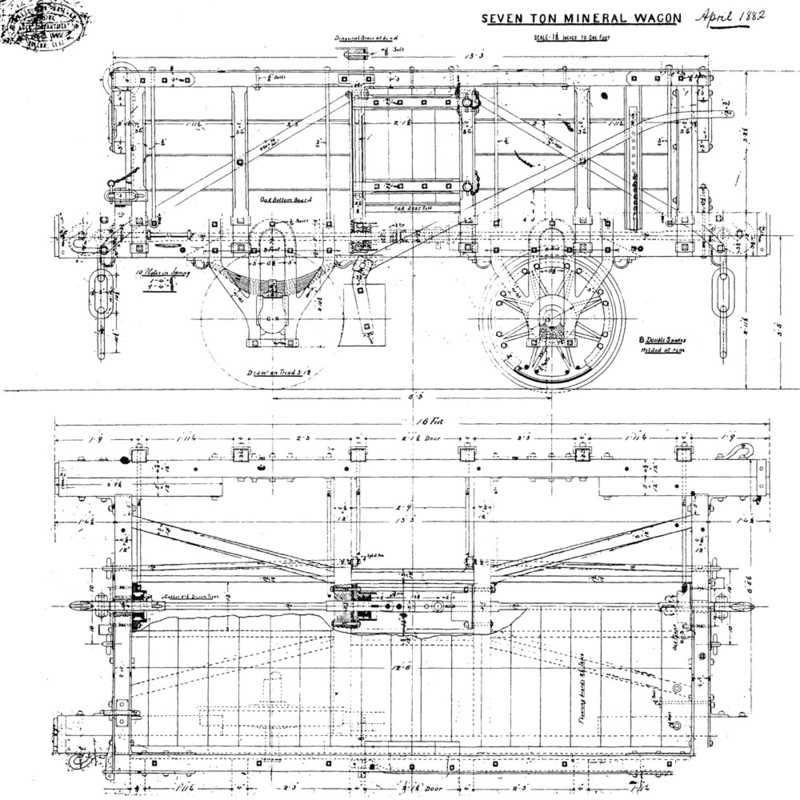 This is the final version of the 'bogie', drawing 3134 dtaed 1882. Although the dimensions and therefore cubic capacity are increased, the designated load remained the same as earlier designs.